Bring your bathers and Swim with the Crocs, jump on our Fishing for Crocs platform and smile for the camera while holding a baby Saltwater Crocodile. Check out the Barramundi, Archer Fish & Whiprays in our 200,000 litre fresh water aquarium and visit our turtles in our Top End Turtle Billabong. Home to the World’s largest display of Australian reptiles, meet & hold some of the coolest critters of the Top End. Explore Darwin with a range of flexible attraction packages, showcasing the best of Australia’s tropical capital city. 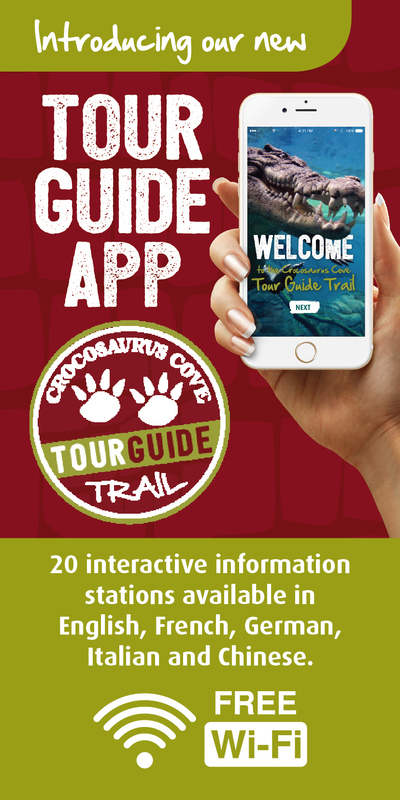 Enter your name & email address below for all latest news from Crocosaurus Cove.